Although no one likes to be cooped up in a car for long periods of time, family road trips – short or long – can create some wonderful memories. Music is a great way to pass the time, share songs from your past, or even write some new ones. Here are some handy ways to add music to a family outing or a vacation get-away. Does your child have a favorite cd? Bring that along. Is there a new cd you’ve been wanting to listen to with your kids? Add that one for novelty. Don’t forget a playlist for sleepytime as that can help create a car naptime on a long journey or be a welcome nighttime ritual if you’re away from home or in unfamiliar surroundings. A road trip can be a great place to share special memories from your own past through music. What songs did you love during your childhood? School days? Did you go to a summer camp or participate in a girl scout or boy scout troop? What songs made you laugh or smile back then and still bring up happy memories now? 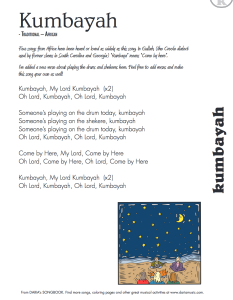 You can share these songs by singing them aloud, teaching them to your child or look for cd’s/digital versions you can play on your car stereo. What a great way for your child to connect with your roots and feel a sense of continuity with the past! Even if you’re not camping out and singing around a campfire, there are some classic summertime songs. 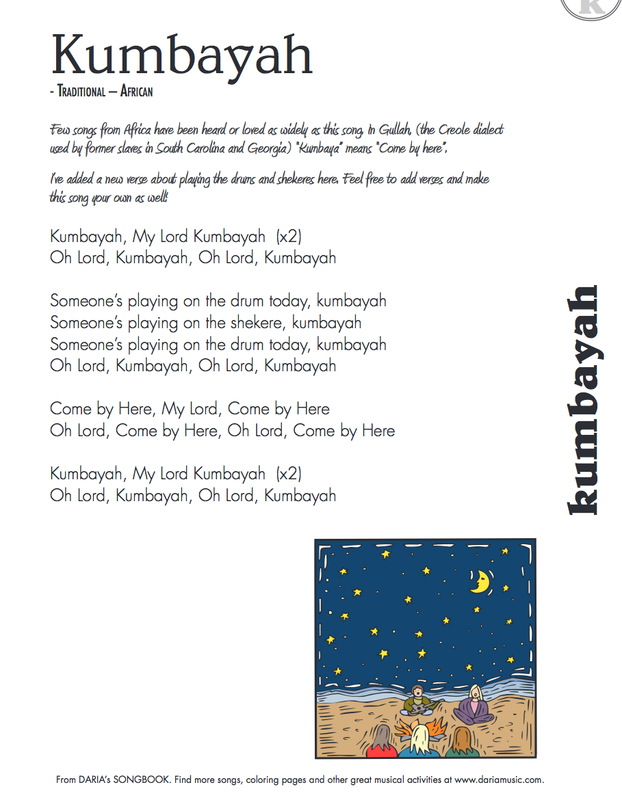 What about “Kumbayah” and Woody Guthrie’s “This Land Is Your Land”? Around 4th of July you may want to sing “Grand Old Flag” or enjoy some Americana tunes such as “Liza Jane” or “Oh Susannah”. Do you remember John, Jacob Jingleheimer Schmidt or a song about a hole in the bottom of the sea? What songs are your childhood “classics”? Remember the many great ways to make music interactive. 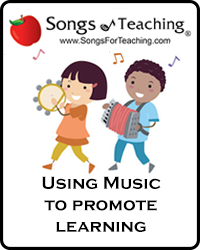 You can carry a small basket of quiet instruments along with you, encourage your child to tap or clap quietly to the beat or learn and sing the chorus of any song together. Get creative! For instance, pick an easy song like “Baa, Baa Black Sheep” and have your child give your different colors to add to the song (Baa, Baa Green Sheep, Polka-Dotted Sheep?). We’ll write more about “homemade songs” soon, but for the time being – make any road trip more fun by adding music! This simple, sandy beach rattle makes a great musical craft whether you live near the ocean or are just dreaming of warmer weather and seaside play! 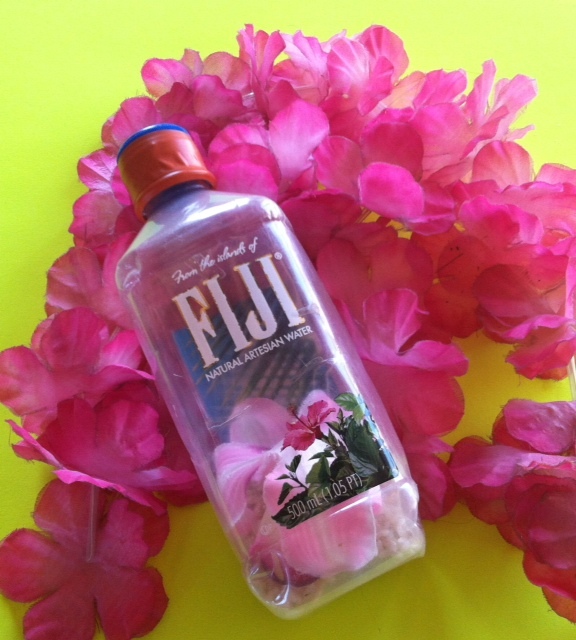 Clear recycled bottle – any size or shape. This craft couldn’t be easier. Save, clean and dry a variety of clear recycled containers and assemble sand, salt or sugar along with a funnel, sturdy tape and other decorative goodies you might want to add to this project. 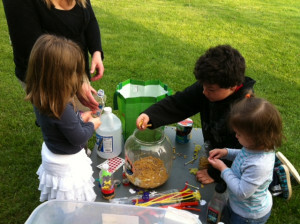 Using the funnel, fill the container with a small amount of sand, salt or sugar. Put the lid on and listen to what the rattle sounds like. Adjust (with more or less sand) until you find the sound that’s most pleasing. Here’s a hint. Less sand, salt or sugar sounds and looks better, but feel free to experiment and see what you can create. When you’re done, seal the rattle up with sturdy tape (such as electrical tape) to keep the project completely child-safe. Once you’ve found the perfect amount of “faux sand”, drop in your favorite tiny shells, pebbles or tiny treasures. 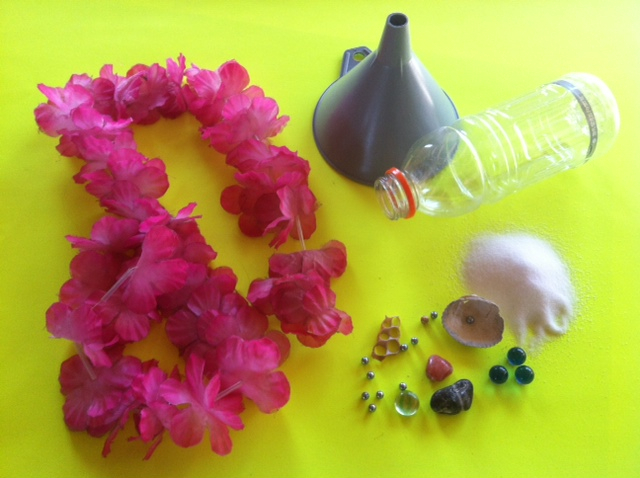 As you play the rattle and turn it from side to side, the small objects will appear and disappear in the sand. Although this doesn’t change the sound of the rattle, it’s fun to add a bit of tropical color to the rattle. Look for silk or artificial flowers from a craft bin or take apart an artificial Hawaiian lei for perfect addition to the fun musical craft. 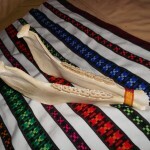 This rattle makes a soft whooshing sound so it is perfect for children with noise sensitivity. Several music therapists have commented that these “seaside” rattles are especially enjoyable to the kids who are on the autistic spectrum. Don’t be fooled by how simple this little instrument looks. There are lots of ways to play a rattle – this type of rattle or any other one you might create or find in your musical bag of tricks! Try some of these suggestions or make up your own ways to play. 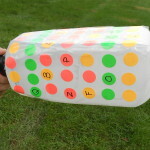 “Swoosh” the rattle – move the contents around in a circular motion. Hold in one hand and tap against the other. Switch hands and try the above. Hold the rattle at the top and tap the bottom on a desk or on your knees. Hold the rattle at the top and tap the rattle sideways on a desk or on your knees. Shake the rattle while dancing or moving. Play it along while singing a favorite song. Play it along while listening to a favorite song on a cd player or media device. Make up your own “rattle moves”. This is a great game to play with kids. It teaches listening skills, enhances motor skills and is just plain fun. Best of all it can be done several different ways. Try it “one-on-one”, with a parent and child, special education student and aide or teacher and student. It also works really well in a group, such as a teacher and a classroom, parent and preschoolers or homeschoolers and siblings. The leader plays a pattern and the other (or other) must play that pattern back to them. Start simple and get more complex. Trade off and let the student or child make up patterns that the teacher or others must imitate. Shake the rattle twice in your right hand. Tap it on the desk loudly. Tap it on the desk softly. Shake the rattle three times in your right hand. Shake the rattle three times in your left hand. And stop – or do it backwards! There’s a reason you find rattles in almost every culture around the globe. They are amazingly simple and very powerful at the same time. A child playing a rattle becomes aware of how his or her movements change the sound they are making. They realize how the sound they create can “fit” with a beat and most studies of young children show that they are keenly aware of rhythmic patterns. 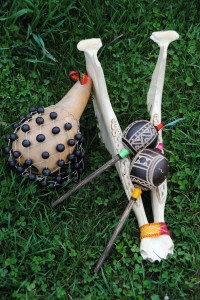 Making and playing several varieties of homemade rattles can be a great way to explore music and have fun with a young child at the same time. 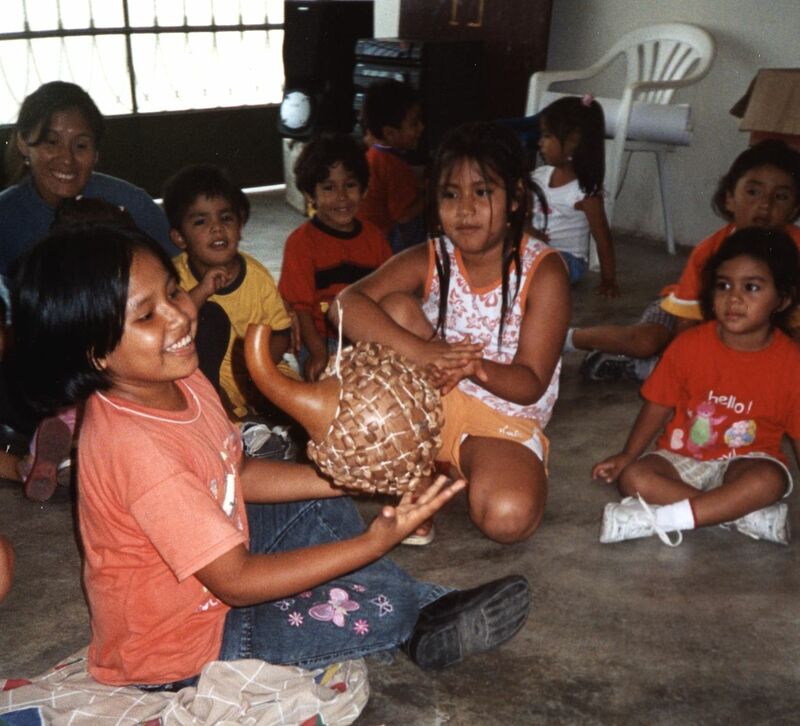 Most early rattles were made of materials such as dried gourds, seashells, clay, coconuts, bark and a variety of other natural objects. In Africa, caxixi rattles are made from woven fiber. 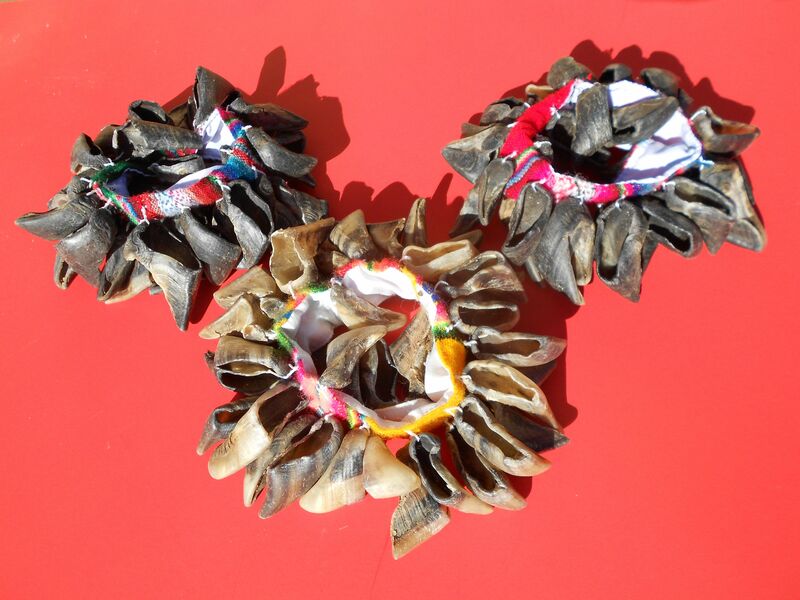 In India, special rattles are made from colorful palm fronds woven together in clever patterns. On the coast of Peru there’s even a rattle made from the jawbone of a donkey. In short, people make instruments from materials that they have found available near their home. 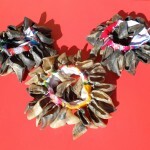 We are going to take that same approach to creating recycled rattles! Quiet rattles: sand, salt, sugar, confetti, cotton balls, craft puff balls, paper bits, Q-tips, tiny pasta (such as pastina or acine de pepe). 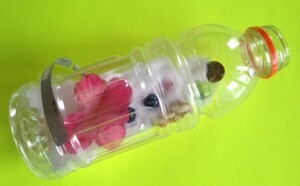 Medium Rattles: paper clips, small pebbles, birdseed, small beads, small dried beans, rice, smaller buttons. Loud Rattles: dried macaroni/pasta, large pebbles, large beads, coins, large dried beans, larger buttons. Choose the objects you’d like to add to the rattle to create the sound and also consider including some decorative elements. Since plastic containers are transparent, you can easily add confetti, glitter, colorful ribbon, pipe-cleaners or similar items. They won’t alter the sound but they will add color, beauty and interest when the rattle is being played. If you like, you can decorate the outside of the rattle with stickers, markers or add a handle made from pipe-cleaner, yarn or ribbon. Feel free to get creative. When you’re done, it’s time to seal it with some sturdy tape, such as electrical tape. This helps keep the contents inside and generally makes it more child-safe around young music-makers. Now you’re ready to have fun with your rattle! Shake along while you sing one of your favorite songs. Try playing slowly and shaking your rattle to the beat. Then speed up the song. Can you keep up and keep in time? Play along with recorded music. 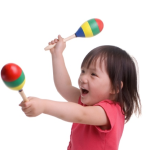 Listen to different types of music and see how your rattle fits in with the music being played. If everyone in a class or a small group has made a rattle, you try this easy game. Shake your rattle back and forth until the music stops. Shake your rattle up and down until the music stops. Shake your rattle round and round until the music stops. Shake your rattle very softly until the music stops. Shake your rattle loudly until the music stops. Shake your rattle down low until the music stops. Shake your rattle up high until the music stops. Shake your rattle quickly until the music stops. Shake your rattle slowly until the music stops. 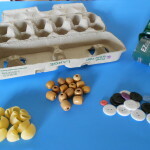 Aside from this one game, there are lots of other ways you can make music and have fun with a rattle while you are learning, playing and recycling – all at the same time! PBS Parenting: It’s A Beautiful Day In Our Neighborhood – Thanks To Mr. Rogers! 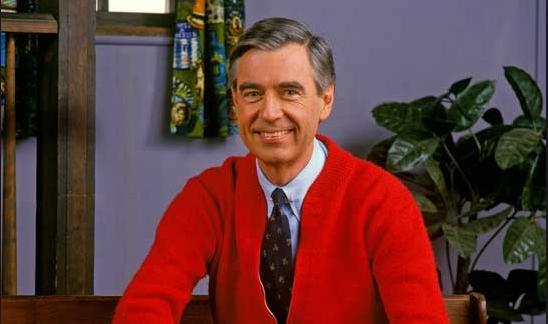 Although you usually find articles on music for young children here, I wanted to give a quick shout out to anyone wearing a sweater today in honor of one of my heroes, Mr. Rogers. 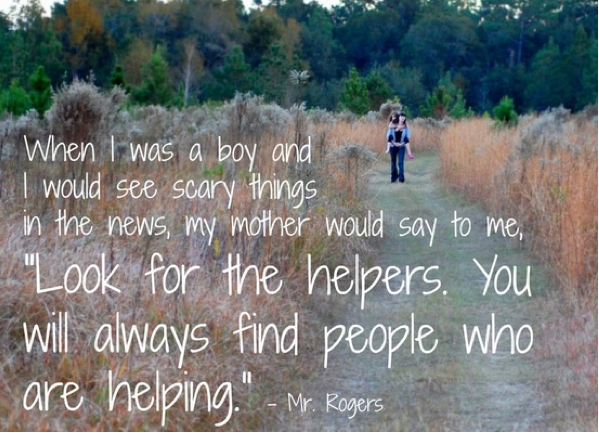 When I was growing up, Mr. Rogers was a quiet, gentle voice that truly listened to kids – a person anyone would want to have live in their neighborhood! Looking back, I realize how many lessons I have learned from this kind and caring man. He was never afraid to be himself. He cared about children before it was “cool” to do so. He never seemed to feel the need to play the superstar, although he certainly held that place in many hearts. He was happy doing the wonderful job given to him with dedication and determination as well as a smile and a song. When I began my career in music, I knew several people who had the honor of being guests on his show. They came back from their time with Mr. Rogers saying he was “the real thing”. His t.v. personality and his real life persona were the same kind of grown-up that inspired others and left a lasting impression. As I move into my career performing multicultural music and creating a television program for children, I am also moved by the fact that Mr. Rogers always seemed true to his original vision and never turned his program into the “next, hot trend”. Although he continued to address timely topics up to his last season of shows, every episode with Mr. Rogers had that same original magic of being quality time with a caring adult that made this series a mainstay of children’s programming. So, if you remember Mr. Rogers today, take a moment to think about his legacy and how easy it can be to share the qualities he expressed in his t.v. work. Add a dash of patience, imagination, caring and creativity to anything you do. Grab a comfortable cardigan. Thanks to this gentle giant of kids media, it’s going to be a beautiful day in your neighborhood. Go Ahead – Play With The Box! Almost every parent has had the experience of giving their child a special present and finding that they were more excited about playing with the box. So, why fight it? 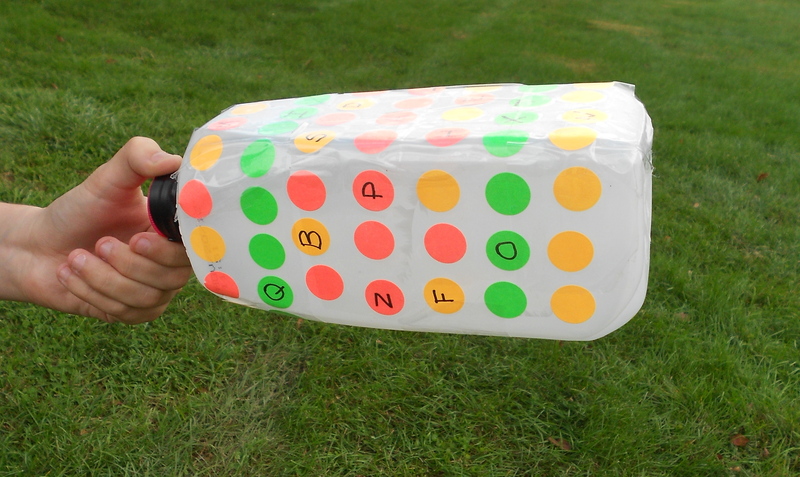 With the holidays bringing so many different size and shape packages to your doorstep, it’s a great time to have a little musical fun by creating instruments called rattle boxes. If you add textured fabric or paper as you decorate them, it becomes a musical and sensory experience as well! This flexible craft is also a great way to recycle bits and pieces of other craft projects that you might have on hand. Take a look at these basic supplies: any size cardboard container or mailing tube, any variety of paper, fabric or bric-brac, plain glue, hot glue or any type of tape. For the inside, you can use anything from extra jingle bells to pebbles, dried macaroni, bird seed or even Q-tips or paper clips. The list below offers some ideas for quiet, medium and loud rattling boxes. Before you seal the box or tube and decorate the outside, choose a filling. Try it out and see if you like the sound it makes when you shake it around. Some things like Q-tips make a wonderful quiet sound and objects such as buttons, beads or pebbles made for louder noise when played. Although you’ll be decorating the outside of the container, it’s a good idea to take packing tape and seal up the edges or other places where the contents might escape to contain any objects that might present a choking hazard. Here’s where you can get creative. Wrap the box in fabric or different papers. Create a simple design or go crazy with a patchwork effect. Some fabrics you might use are wonderful to touch such as felt, velvet, velour, suede or gauze. Scrapbooking papers often have nice textures that can add to the sensory experience of this project as well. Add fabric swatches or trim and glue or hot glue in place. Shake, Rattle and Roll Away! sand, salt, sugar, confetti, cotton balls, craft puff balls, paper bits, Q-tips, tiny pasta (such as pastina or acine de pepe). paper clips, small pebbles, birdseed, small beads, small dried beans, rice, smaller buttons. 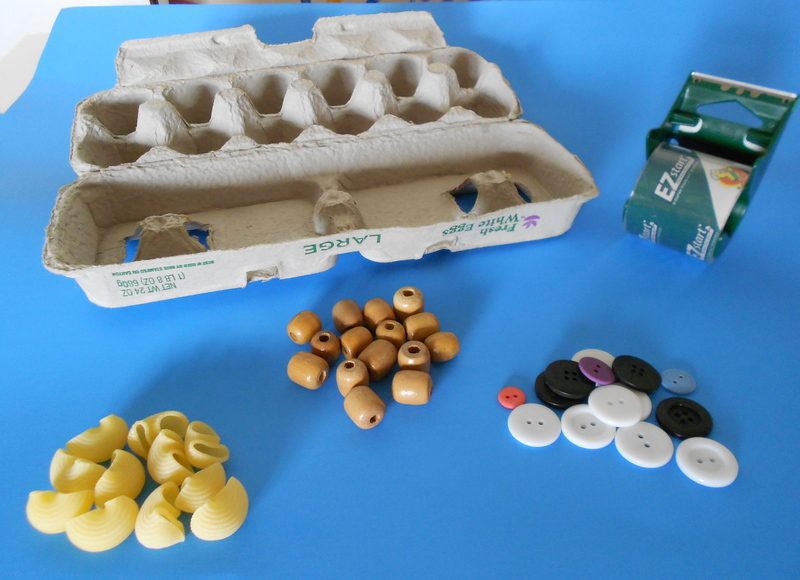 dried macaroni/pasta, large pebbles, large beads, coins, large dried beans, larger buttons. Sometimes homemade fun is the best of all! And, if you can find all the materials you need to make a new musical toy or rattle for your child around your kitchen or craft area – all the better! In this simple instrument, you get to reuse an empty egg carton and create a funny musical face at the same time. This simple musical craft is based on one of my favorite rattles that come from Peru. 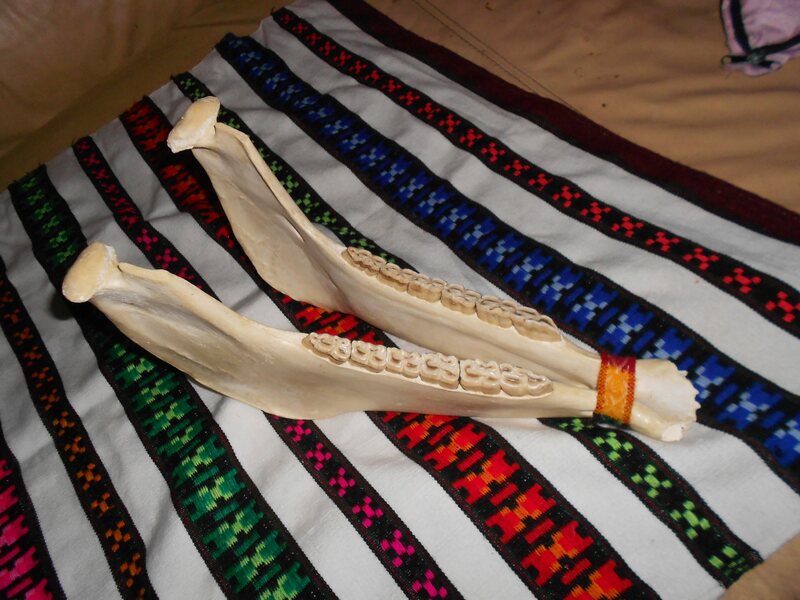 It’s called a quijada and it’s actually made from the jawbone of a donkey. You hold it in one hand and tap with the other hand or fist and the teeth rattle around in the sockets. Although the egg carton rattle has no real teeth, you can tap the side for a similar sound as well as shake it back and forth, up and down or let your child tap the top like a drum. What do you use to fill the rattle? Practically anything that will fit in the space for the eggs. Look for 12 items that can fit into the carton just like teeth. Jingle bells sound great – they jangle as you hit them. You can also use pebbles, marbles, macaroni or bottle caps. Each one will sound a bit different when placed inside the rattle. And, we’ve given you some fun designs to so each rattle can have a personality of it’s own. 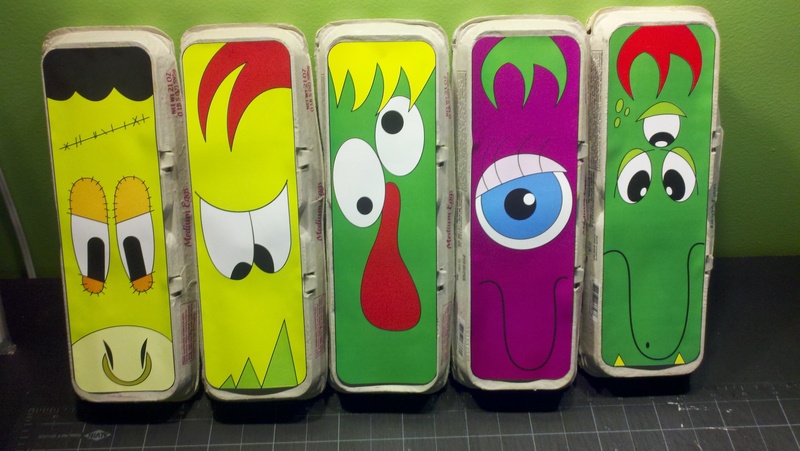 Pick silly or scary, choose a full color monster or print out the black and white version and color it on your own. Or design your own face and send us a picture. We’d love to see the wonderful things that you can do when you combine being creative, silly and musical at the same time! 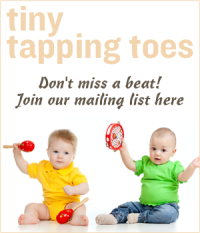 Music in the Early (Learning) Years – Fun for Both Parents and Children! Sometimes parents feel a bit intimidated about singing to their young child. This wonderful post from music therapist, JoAnn Jordan emphasizes that you don’t have to “be perfect” but can focus on having fun with your child in simple ways that encourage both creativity and learning! 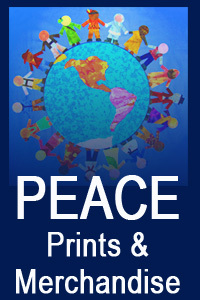 Across the United States many communities will host special events April 22-28, 2012 as part of Week of the Young Child™. The National Association for the Education of Young Children has set this year’s theme as ”Early Years are Learning Years.” Parents and other adults in regular contact with a child are their first teachers. Through caring, supportive relationships with adults providing face-to-face interactions the basic skills for learning are developed. 1. Simple language paired with eye contact along with responses to a child’s vocalizations and physical responses. 2. Frequent opportunities for play and song. 3. Regular exposure to reading and books. Music is one way you can support this development. 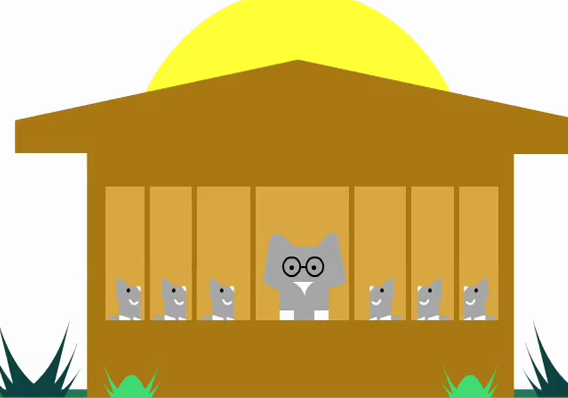 Singing familiar songs easily supports simple language. Daria has a great collection of songs you can use. Once you have learned a song, sing without the recording. This allows you to change the speed (tempo), add opportunities for child to start a word or sound, and to change the lyrics. Where is (insert child’s name)? I’m glad I found you. I’m glad I found you. My dear child. My dear child. There are many books based upon song lyrics such as “Itsy Bitsy Spider” and “Fiddle-I-Fee”. In addition, there are many books that can be sung. Lists of these books can be found on many sights including this post on Music Sparks. Remember, perfection in singing is not required for your child to benefit for music. Rather, it is the face-to-face interaction that is key. 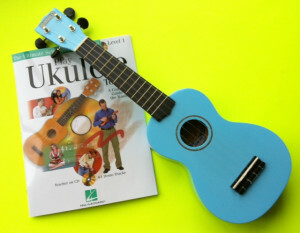 Go ahead and add a little music to your speaking, playing and reading with your child. Music in these early learning years is fun. JoAnn Jordan is a board certified music therapist with over 25 years of experience. She specializes in working with preschoolers and older adults. Her passion is bringing these two age groups together with music experiences. 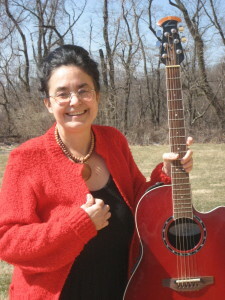 To learn more about music therapy and to see some of JoAnn’s resources visit her site www.music2spark.com .